The submarine division of Chinese telecoms equipment manufacturer Huawei, has been contracted by the Solomon Islands government to install a fibre-optic cable linking Sydney to Honiara. Solomon Island’s finance minister Snyder Rini said an agreement will be signed this month, and work will begin in February, with a ready for service (RFS) date currently set at the middle of 2018. Mr Rini added that the cable would be jointly owned by the government’s commercial arm, the Investment Corporation of Solomon Islands, and the National Provident Fund. Work on the submarine cable project will commence as soon as the CEO of the Solomon Islands Submarine Cable Company (SISCC) assumes duty, the Ministry of Finance and Treasury (MOFT) announced. “Arrangements are now underway for the new CEO to take up the position early February 2017 in Honiara. 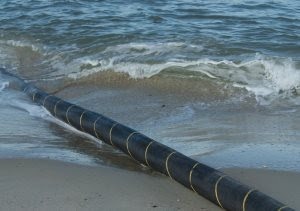 “The Cabinet has awarded the supply and laying of the undersea cable to Huawei. The Government is committed to this important project and arrangements are being made for contract negotiation and signing to take place.